Crimes against humanity. Mass atrocities. Mass displacement. While these terms accurately describe the conflict in Syria, they are equally applicable to South Sudan’s continuing civil war. Left to its present trajectory of displacement and famine, roughly half of South Sudan’s population will have died of starvation or fled the country by the war’s fourth anniversary in December – an occurrence nearly unprecedented in modern history. In a study conducted by the South Sudan Law Society using the Harvard Trauma Questionnaire, 41% of South Sudanese exhibited symptoms consistent with post-traumatic stress disorder (PTSD), rates comparable to those of post-genocide Rwanda and post-genocide Cambodia. That was two years ago. More fundamental to US security interests, however, is that the conflict risks escalating into a broader regional war. South Sudan sits at the nexus of intensifying competition among four of Washington’s core counter-terrorism partners – Egypt, Ethiopia, Uganda, and Sudan. To deflect collective international pressure to accept a political settlement to the war, South Sudan’s president, Salva Kiir, has exploited a bourgeoning proxy conflict between Egypt and Ethiopia over the use of the Nile waters and other issues. Sudan’s president, Omar al-Bashir, has publicly accused Egypt of providing weapons to Kiir’s regime, and there are numerous reports that Sudanese and Ethiopian opposition groups operating from South Sudan have acquired arms from Cairo as well as of growing cooperation between Egypt and Eritrea, Ethiopia’s arch-rival. Uganda and Ethiopia’s contest for hegemony within the Horn of Africa, Uganda and Sudan’s longstanding feud for influence in South Sudan, the demonstrated readiness of all four states to engage militarily across their borders, and the destabilizing demographic impact of the millions of South Sudanese who are seeking refuge in Ethiopia, Uganda, and Sudan compound the volatile regional puzzle. The escalation of Egyptian-Ethiopian and Egyptian-Sudanese competition in South Sudan, inevitably drawing Uganda into the fray, will compromise the regional counter-terrorism architecture in which the United States has invested so heavily. US security assistance to Egypt exceeds what Washington provides to most other countries, and in the last three fiscal years, the United States has also furnished more than $223m to Uganda and more than $92m to Ethiopia. 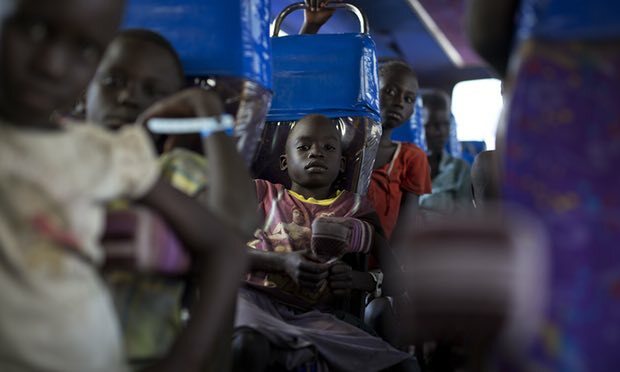 In addition, the expansion of South Sudan’s civil war into a regional conflict would accelerate refugee flows out of the Horn of Africa, the population of which is already projected to increase by 40% in the next 15 years and by at least 105% by 2050. While a war in a seemingly distant corner of the world may therefore appear peripheral to US interests, the consequences of South Sudan’s conflict are in fact significant – and not just for its beleaguered people. The international mechanisms for addressing crises of this scale – from the World Food Programme to UN peacekeeping – are essential tools for mitigating the fallout of the war and cannot function without US political and financial support, contrary to the cuts proposed by the Trump administration. They will not, however, substitute for a political solution. Fortunately, South Sudan’s war does not involve great power politics, and a negotiated settlement can be more easily brokered there than in Syria. As the United States is the only nation with leverage over all of the parties concerned, its network of regional partnerships can be an asset in defusing tensions rather than a liability that ensnares it. The warm welcome Donald Trump accorded to the Egyptian president, Abdel Fatah al-Sisi, in Washington earlier this month and the tentative improvement in the bilateral relationship between the United States and Egypt is, for example, an opportunity for the United States to help steer Egypt and Ethiopia off their collision course. To end the conflict in South Sudan and head off a regional confrontation, however, the Trump administration will need to set aside its justified skepticism of the proliferation of special envoys under the previous administration. Instead, Trump must appoint an envoy for the Horn of Africa, temporarily, to untangle the web of its politics and strategically apply the leverage of the United States. Peace in South Sudan could be an early win for the Trump administration, and the role of the special envoy can then be permanently retired.